The Culver City Biotech Mixer is presented to you by BCLA, Health 2.0, and Superlanet. Don’t miss out the opportunity to learn more about Health 2.0 and Superlanet. Come network with fellow academics, entrepreneurs, and industry professionals over appetizers and drinks on April 25th, 2019 at Phase Two Space in Culver city! Parking is located at the back of the building off of Corbett Street. Biotech Connection Los Angeles (BCLA) is a project of the 501(c)(3) non-profit Community Partners. We are an organization run by academics and biotech professionals from all over Los Angeles and our mission is to inspire, educate and connect emerging scientists and entrepreneurs to grow and diversify biotech in LA. Los Angeles is home to renowned universities and research institutes producing top talents and exciting innovations. We are passionate about making our city a major biotech hub! If you are interested in fostering early-stage entrepreneurship, retaining local talent, or just want to know more about what we do, subscribe to our newsletter, come to our events or donate to our cause. Let’s build a vibrant LA biotech community together. Phase Two is a curated coworking space for tech, media, and entertainment. We are an event space for diverse groups to convene. We are studio space with the benefits of a community. We are an educational facility for those eager to learn. We are a screening room for art enthusiasts. We are a tech hub with an appreciation for platforms and scale. We are a space where entrepreneurs, technologists, creators and makers, come to work, mingle and play. We are [Your] Phase Two. Superlanet is a clinician-led healthcare IT consulting firm based out of San Diego. They provide temporary IT staff to hospitals, life science and technology companies across the United States. Their experts excel in healthcare data management, EHR integration, and bridging new technologies with clinicians and their workflows. Superlanet has a dynamic team working passionately to improve patient and staff experiences while creating gateways for our customers to thrive in a complex healthcare market. 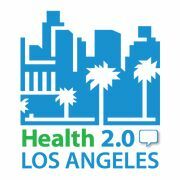 Health 2.0 Los Angeles is a group dedicated to actively promoting and advancing innovation transforming the delivery of healthcare and healthcare technology. The group aims to create a community around Health 2.0 in the Los Angeles area and is a subchapter of the larger Health 2.0 organization. Our goal is to aid in the advancement of healthcare technology by creating a forum for sharing, discussing and showcasing innovative ideas at the intersection of healthcare and technology with an emphasis on the greater LA area. Professionals working in varying capacities throughout the healthcare industry are invited to attend our events, connect, share insights, interact and learn about the latest healthcare technologies. BROXTON is a community brewery & public house installed in the most historic and iconic building smack dab in the heart of Westwood Village.We believe that great beer and food brings people together. Our team aims to cultivate community through handcrafted brews, California comfort food, and good ol' fashioned hospitality. With neighborhood collaborations, student perks, and kid-friendly games, we provide a little something for everyone. Building upon the university’s Michelson Center for Convergent Bioscience Initiative, the Bridge Institute unites eminent professors across the entire university, including the USC Dornsife College of Letters, Arts and Sciences, the USC Viterbi School of Engineering and the Keck School of Medicine of USC, as well as animators and cinematographers in the USC School of Cinematic Arts and the USC Institute for Creative Technologies, and technology transfer experts in the USC Stevens Center for Innovation. We are artists, engineers, scientists and physicians bridging the molecules of life to improve the human condition. Imagine a world where scientific data is released from the confines of its originating discipline, allowing us to better understand, integrate and advance knowledge. Our values are Teamwork, Imagination, Innovation, Learning, Teaching, and Convergence. The LA BioStart Bioscience Entrepreneurs Boot Camp is a five-week, intensive training program that prepares emerging bioscience entrepreneurs to launch their own bioscience ventures. The boot camp is a collaborative project of Cal State LA, the Biocom Institute and the Los Angeles Cleantech Incubator. Participants learn business fundamentals, leadership skills and bioscience knowledge from industry leaders and business experts. Funded by the Economic Development Administration, the training is offered at no charge to eligible participants. Early-stage entrepreneurs, emerging entrepreneurs seeking to market bioscience ideas, and scientists, university faculty, postdoctoral fellows and graduate students should apply.